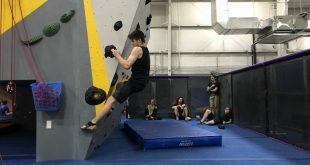 Spencer Steelman made his way to the starting line and began to stretch the muscles he would be straining for the next 24 hours. Sixty-eight others did the same as sunlight streaked through the stands of the Homestead-Miami Speedway. He had his mind set on eclipsing 215 miles this year. 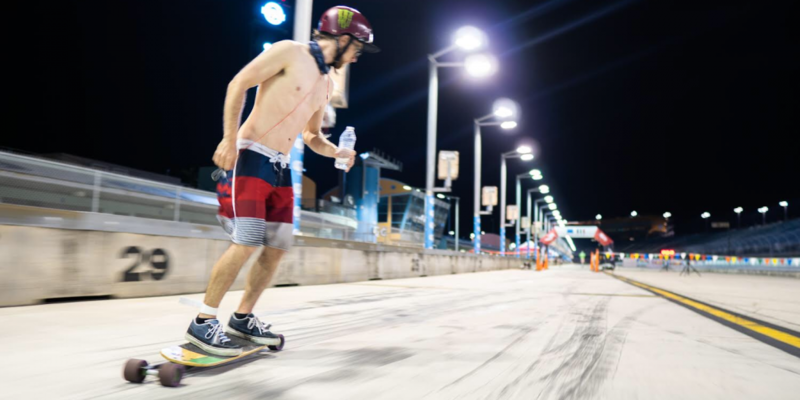 Spencer Steelman is familiar with the Miami Ultraskate — an annual skateboard race each January in which riders skate around the 1.5-mile racetrack as many times as they can in 24 hours. He’s competed the past three years against some of the best distance skateboarders in the world and reconnected with friends from his home state of Florida. The starting gun sounded at 8:08 a.m. Skaters pushed off for the first time. Some wouldn’t get off their board for another 24 hours. 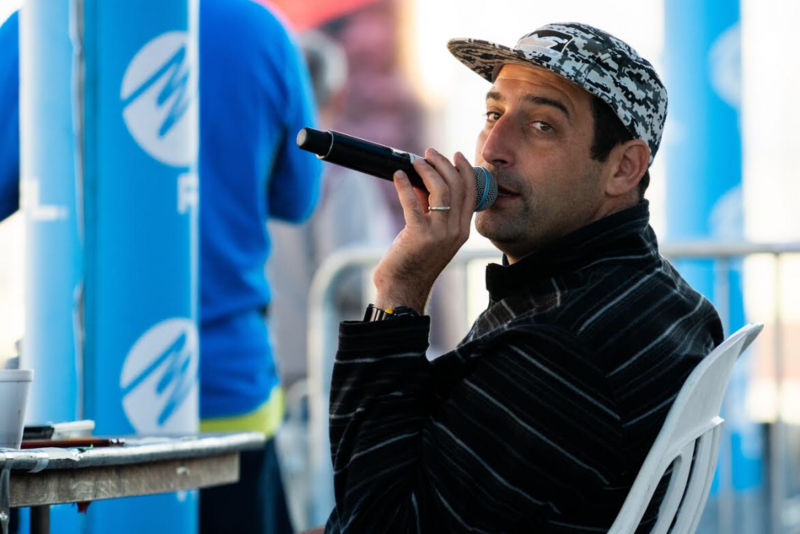 “If you don’t think about quitting at least three times, you probably aren’t doing it right,” said Joner Strauss, event organizer and founder of the International Distance Skateboarding Association. Usually, riders take care of their bodies in the days and weeks before Ultraskate. Steelman had different plans. He and distance skateboarder Calleigh Little planned to ride more than 400 miles from Jacksonville to Miami in time for Ultraskate. A blistering pace of about 80 miles per day would have put the pair in Miami within five days. The two did the same trip in 2018, going north from Miami to Jacksonville in six days. Little called Steelman about a month before January’s Ultraskate with an itch to get back on the road. Little is an accomplished skater in her own right; in 2017 she became the first transgender woman to skate across the U.S. when she went from Bend, Oregon, to Boston in 48 days. This year, Little’s board broke on the first day near Flagler Beach — just 50 miles into their journey. They struggled to the end of their first day after repairing the board with a piece of plywood from a hardware store. The two pushed 70 miles the next day before deciding to end the trip early. Little’s broken board, unfavorable winds and uncertain sleeping arrangements would make the rest of the journey too challenging to be worth it. The pair made it to Miami with days to spare. They rested in a house with other skaters including Adrian Oh, a Singapore native who recently spent more than a year skating from Vancouver, Canada, to the southernmost tip of Argentina. Little said there is a fundamental difference between an endurance race like Ultraskate and a long-distance trek on open roads. On Jan. 18, the morning the event began, riders gathered to catch up and share personal goals for the event. Thirty-four of the 69 competitors were from Florida. Steelman reunited with Neena Schueller and Devon Spence, two close friends and Gainesville natives. Schueller surpassed 200 miles at the 2018 Ultraskate but an injured ankle prevented her from participating this year. Instead, she was a one-person fan club who handed waters and snacks to Steelman, Spence, Little and her girlfriend Liz Burgin who was participating in her first Ultraskate. It worked. By the eighth hour, most skaters had at least stopped for food or a quick nap but Steelman and Little were keeping pace with their goals. Little eyed 250 miles, which would make her only the third woman to reach the mark. Burgin and Spence both aimed for 100 miles. Over time, riders became more spread out and packs formed. Little was pacing with Oh, who also planned to reach 250 miles. Joe Mazzone was skating all alone. As night fell and packs thinned, Mazzone picked up his pace. Mazzone, a 27-year-old from Littleton, Colorado, was on track to reach 300 miles. 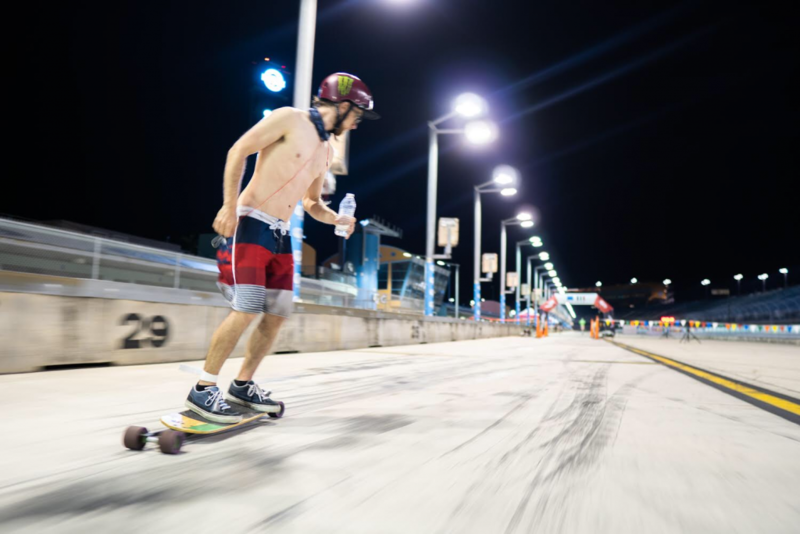 Less than 10 riders have ever hit 300 miles at the Miami Ultraskate. Only the most determined riders skated through the earliest hours of the morning. Steelman, Little, Oh, Mazzone and less than a dozen others never left the track. If they were going to hit their goals, they didn’t have much of a choice. Steelman rounded the final turn of his 147th lap just 20 minutes before the end of Ultraskate. 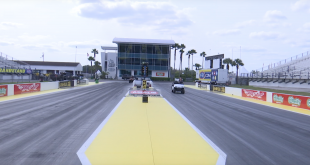 Crossing the finish line with 215 miles, he hopped off his board and took several wobbly steps before making it off the track. “I need a beer, a cheeseburger, and a massage — in that order,” Steelman said. Four minutes later, Little secured first place in the women’s division as she reached 251 miles. She spiked her board on the ground like a football player celebrating a touchdown, splintering it in several places. Burgin rolled through the finish line shortly after with 147 miles. She was immediately greeted with a hug from Schueller. 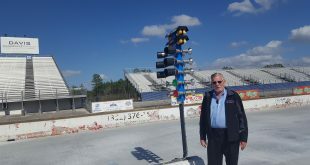 Spectators and skaters lined the track to see the first-place Mazzone eclipse 300 miles with only four minutes remaining. Greeted with cheers and applause, tears welled in his eyes as he held up three fingers to symbolize his achievement. “I did what I came here to do,” he said. Justin is a reporter for WUFT News who can be reached by emailing news@wuft.org or calling 352-392-6397. Previous The Alachua County Commission Doesn’t Want Teens Buying Tobacco. What Happens Next?